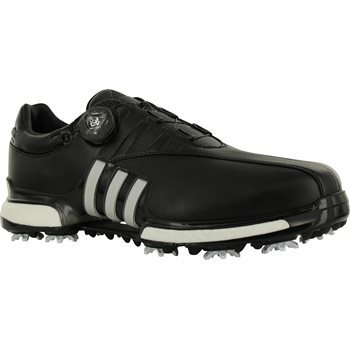 The Adidas Tour360 EQT Boa golf shoe features an advance BOA Closure System with a 1P1 incremental pull and push structure for customizable micro adjustability; a premium leather upper with microfiber that offers a soft, comfortable feel and durability; and climaproof technology that acts as a barrier to the elements while allowing heat and perspiration to escape through evaporation. Comfort features of the Tour360 EQT Boa include a full length BOOST midsole foam; durable, soft microfiber heel lining and a fitfoam PU sockliner for cushioning and support. 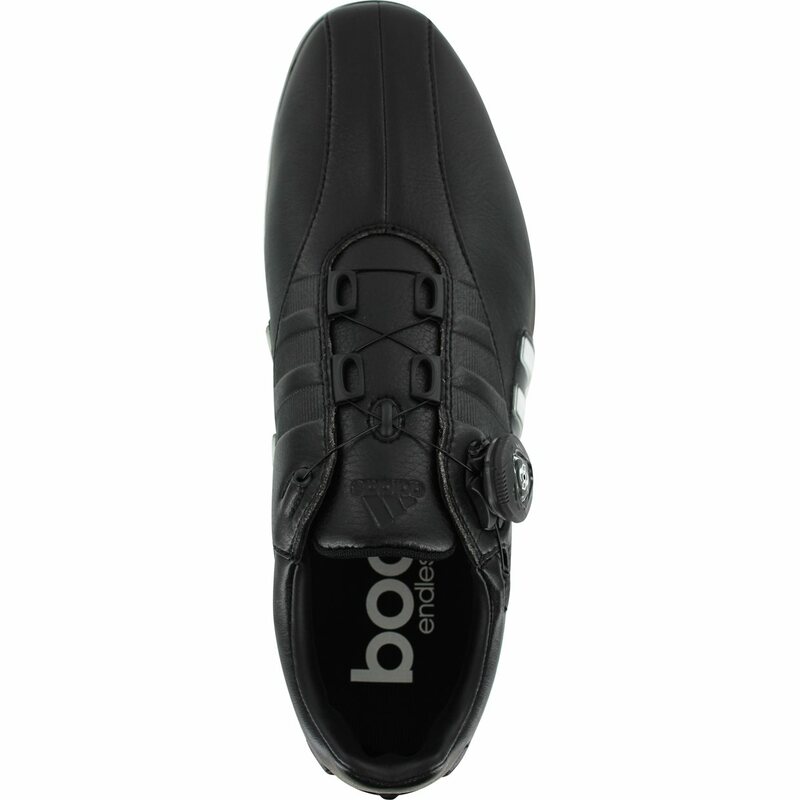 Other features include an advanced dual-density 10-cleat puremotion TPU outsole with strategically-placed CenTraXion and new thintech EXP cleats for improved stability and grip; an updated bottom unit with a new TPU top plate that wraps higher in the saddle and heel for increased stability and performance; and a TORSION TUNNEL for arch support and independent flexibility and control between the heel and forefoot.